TX Text Control will be attending Basta! 2009 in Mainz on September 21-25. Basta! 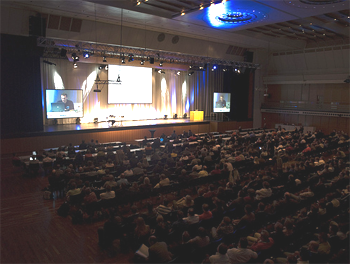 is one of the largest .NET conferences in Europe. We are proud to attend with our own booth to show you the latest developments and future roadmaps. At the conference, I will give a talk about centralizing documents in .NET. A list of all sessions can be found here. Our booth staff would be delighted to welcome you to that show to talk about our latest technology, new products and your experience with TX Text Control. Feel free to contact me directly to make an appointment or simply drop by at our booth at any time!